Scary vector illustration of a human skull and a dead bird. Old decaying skull with missing jaw and crossed bones and a zombie crow eating the surface of the bone. Various grunge decorations: dripping paint, small symbols and geometric shapes. Free vector graphics to use in clothing prints and tattoos. 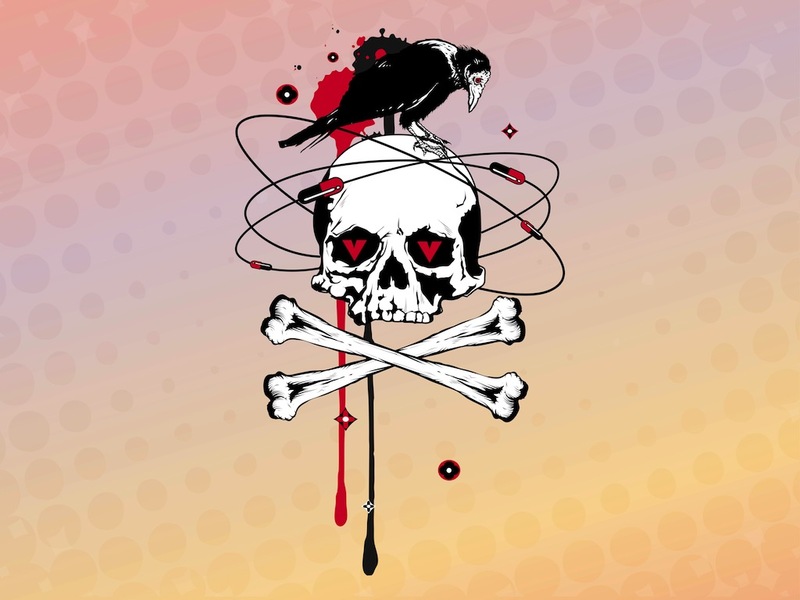 Tags: Abstract, Bird, Bones, Crow Vector, Dead, Drugs, Scary, Skeleton, Skull Vector.